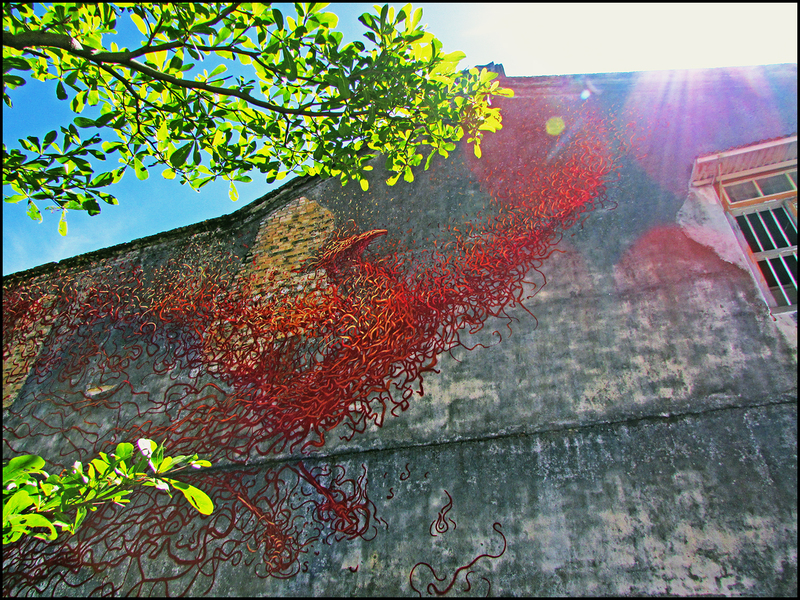 This large beautiful mural depicting a Phoenix is one of the recent art works completed for the Urban Xchange street art festival 2015 in Penang. This art work’s creator is the Chinese-born artist DALeast, who is based in Cape Town, South Africa. He was invited to be one of the participating artists for the festival. The mural was painted with his signature 3D-wires style technique. 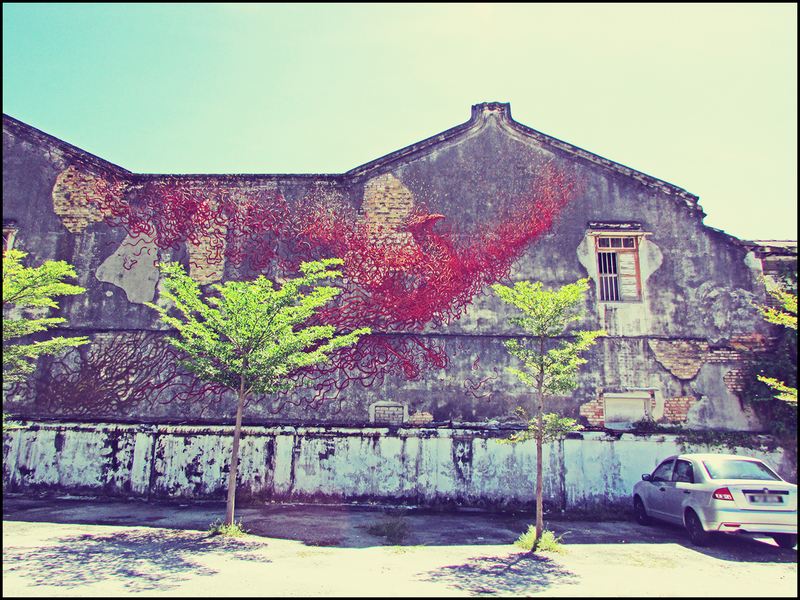 This mural can be found at the wall of an old building facing the car park of New Savoy Hotel at Hutton Lane, George Town.